The statement below is by Freeholder Jeffrey Nash on behalf of the Freeholder Board in regard to the passing of Rodney Sadler. “Camden County lost a great public servant and community leader with the passing of Rodney Sadler. An avid and knowledgeable mariner, Rodney served Camden County as the Harbormaster of Wiggins Park Marina. After making Pyne Poynt his home in the early 90’s, he quickly became involved in helping in the revival of Camden City. 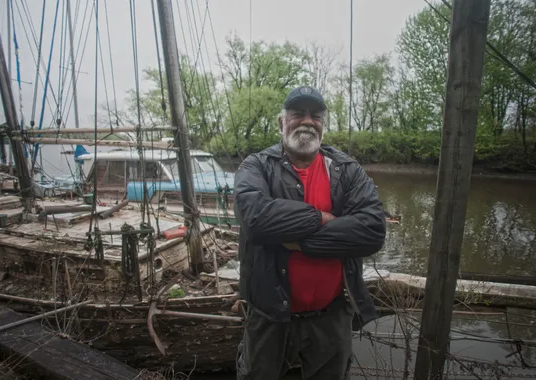 He volunteered his time and talents to the Save Our Waterfront organization that worked to transform Camden’s blighted waterfront into a revitalized destination for recreation and economic recovery. His numerous contributions to Camden also include the Economic Recovery Board, Camden City Planning Board, North Camden Neighborhood Development Corporation and Camden Greenways Working Group, just to name a few. Rodney was a quick to lend a hand as he was to flash a smile, and his confident and easygoing style will be missed by all of the organizations that benefitted from his input.